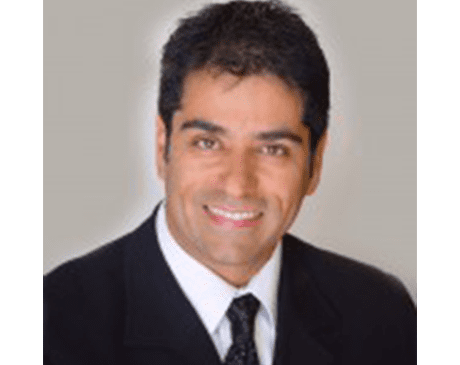 Dr. Farid Rooh-Parvar DPSc, BCIM (“Dr. Rooh”) is a passionate holistic/alternative healthcare practitioner, whose heart goes to patients who suffer from different health problems, whom are told they have to live with certain health problems and are given a variety of medications that do not even help reverse or fix the problems, but only mask their symptoms as the patient’s health condition worsens. Dr. Rooh is so tired of the mainstream medicine that is Disease Management Based rather than Pro Active Health & Lifestyle Based. Dr. Rooh believes in educating his patients, so they are empowered and know what to do and how to do things to help themselves stay healthy. Along with education, Dr. Rooh also makes himself available to his patients day and night and brings care into the healthcare system. Dr. Rooh serves Chandler, Gilbert, Mesa, Tempe, Queen Creek, Apache Junction, Gold Canyon, Ahwatukee, Scottsdale and the surrounding communities with his friendly team at Wellness 1st Integrative Medical Center who are dedicated to functional medicine and are here to find the underlying cause/s and are willing to find the solutions to target your unique needs, whether you are suffering from Diabetes, Hypothyroid, Hashimoto’s, Autoimmune Disorders, Irritable Bowel Syndrome (IBS), Rheumatoid Arthritis, Fibromyalgia, Crohn’s disease, Lupus, High Blood Pressure, Hormone Imbalance (low testosterone, estrogen and progesterone issues), High Cholesterol, Headaches, or even just plain old muscular tightness and tension. Even if you just want to improve your overall health, our holistic approach can help you achieve your wellness goals! Please visit the testimonials page to see what our patients are saying about our Wellness 1st holistic center. 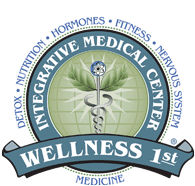 At your first visit to Wellness 1st Integrative Medical Center, Dr. Farid Rooh, DPSc, BCIM will explain the science behind your condition and how functional medicine and proper lifestyle changes can actually help you by giving you an in-depth evaluation to see if functional medicine is the right choice for you. If there is a good fit, we can develop a plan of cutting edge natural therapies that are specific to your condition and health goals. If you are new to seeing a functional medicine doctor and want to find out more, please email us or call (480) 304-5152 to receive personalized answers to your questions from our friendly team or Dr. Rooh. We also welcome referrals, so feel free to use the “Send to a Friend” link located at the bottom of every page to share our health information with your friends and loved ones. If you would like to stay informed about modern cutting edge functional medicine remedies or if you want to start receiving free articles about health and wellness news, please subscribe to our bi-weekly newsletter, even if you are not a patient. Once you are subscribed, you will be able to explore our member wellness section and take advantage of our wellness articles, and other resources.